Over the summer we are doing a series of host favorites and this week we have Rahul’s favorite. 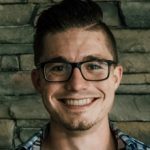 In this episode, first-year college minister Rudy Hartmann reflects on his experiences over the first 12 months leading a college ministry. He shares the most significant lessons learned, things he’d do differently, and what comes next. This episode will be an encouragement to anyone in college ministry, whether it’s your first year or your fortieth. College students are not just important to the future of the church, but to the present of the church. Working “on” your ministry often means giving ministry away. As a leader, rest is not an option. You must rest in order to bring energy to the rest of your ministry. The Expectation Principle: Most of life’s frustrations come from unmet expectations due to poor communication. Prayer is not just preparation for the work, prayer is the work. Things to do differently: Assume less. Partner more. React less. Rest more. Recruit more adult leaders. If you don’t have people who are over and ahead of you in ministry, you are limiting your own capacity to develop further as a leader.